Chicaog, IL - On Sunday, August 29th 2010, in the church of the Holy Resurrection at Palmer Boulevard, Chicago, one of the oldest and most distinguished parishes of the Serbian Church in America, parish priest Father Cedomir Kostic was awarded by Bishop Longin with a pectoral cross after thirty eight years of faithful service to the Church of Christ. After Divine Liturgy a luncheon followed in the parish hall where some of the parishioners made a biographical speech and presentation about their pastor, mentioning various awards and merits he had earned throughout his life. 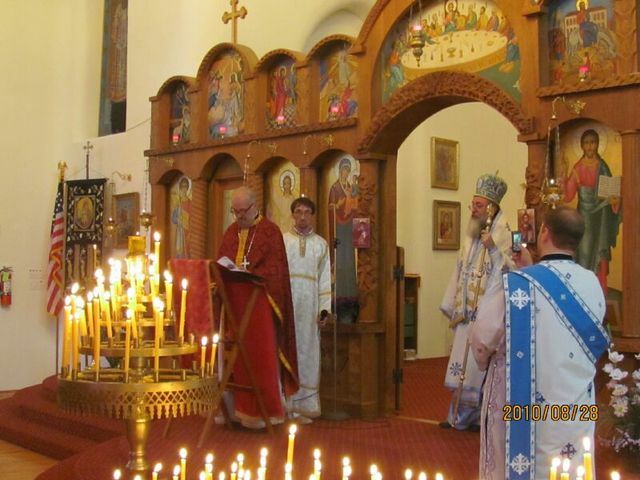 Many years to Protopresbyter-stavrofor Cedomir!